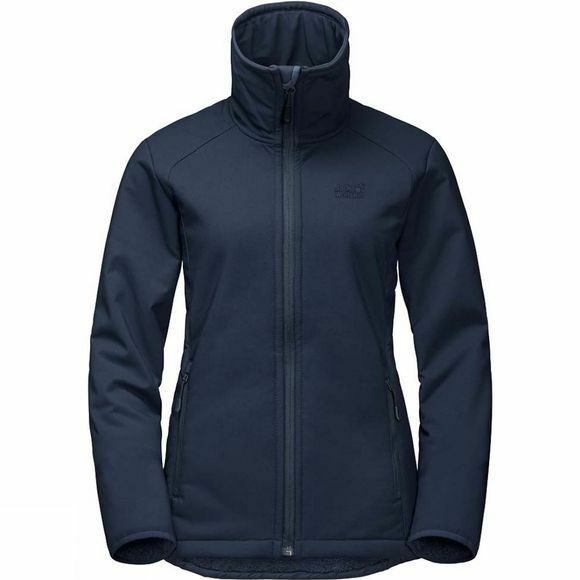 Whether you're hiking along snowy woodland trails or ice skating on a frozen lake, the Womens Rock Valley Jacket from Jack Wolfskin, a super warm winter softshell, is a great jacket to wear. Slip it on and you'll instantly notice that this jacket is not only warm but unbeatably comfortable, too. This is because it is made from a special version of a super stretchy softshell fabric–the winter version with a fluffy fleece lining. It fits perfectly, stretches as you move and feels awesome to wear. The high-loft fleece insulates better than regular fleece, yet weighs less. The fabric is also windproof, so you get double insulation performance. 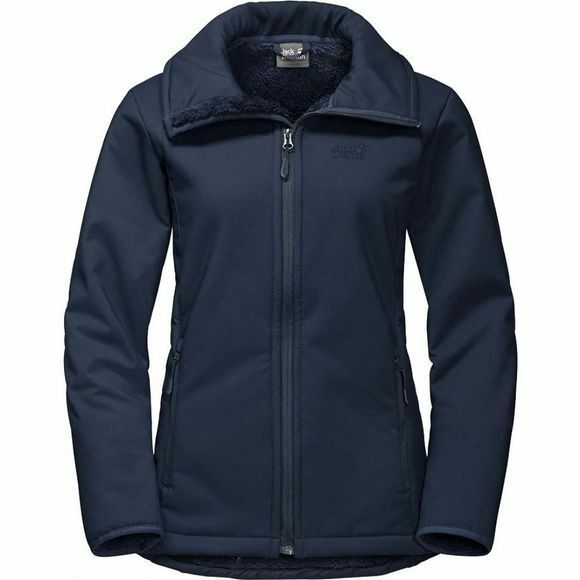 This super warm winter softshell also features an extra high collar. The icing on the cake, so to speak.